The Boardroom (The Collinge Room) is the ideal choice for meetings requiring the latest technology, high-quality catering and memorable surroundings. 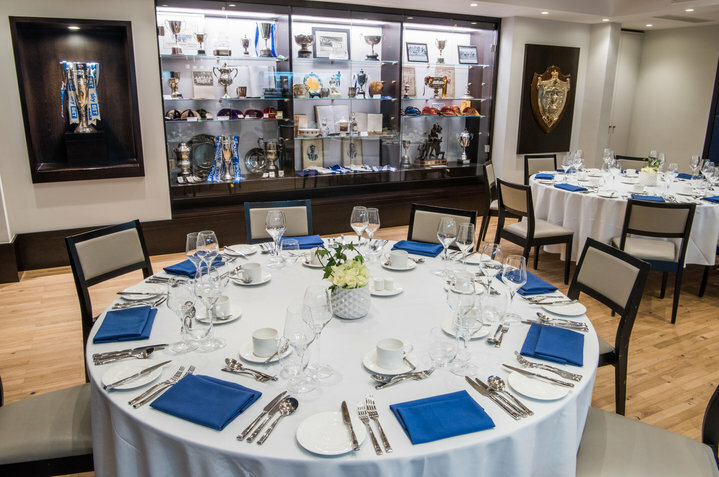 The room is air conditioned and decorated with over 100 years of sporting memorabilia from both clubs, a nod to our rich sporting heritage, providing a truly unique event experience that is sure to inspire and encourage conversation. 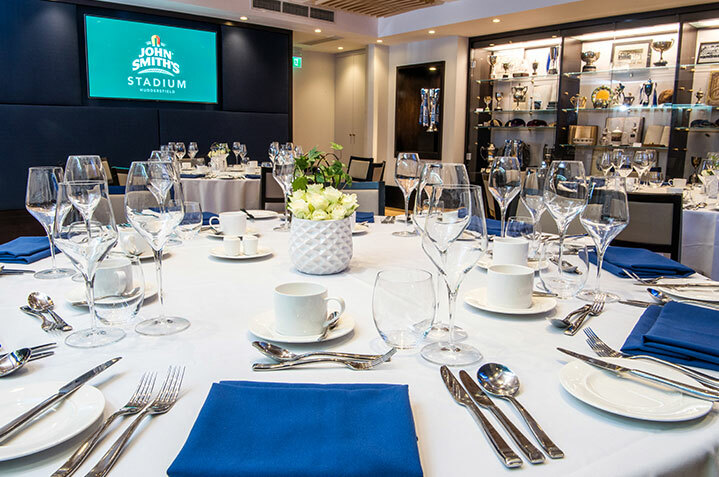 The Boardroom is also perfect for intimate meetings that require that extra bit of attention to detail, and can be used as an intimate pre-dinner reception space. 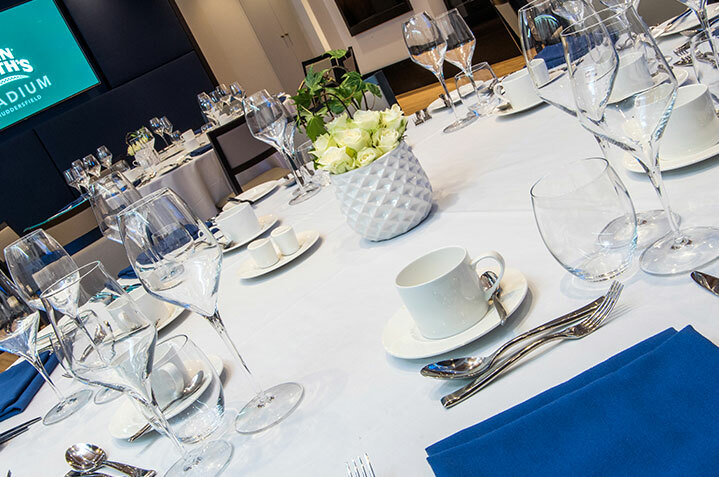 For more information read up on our Fine Dining Events here. For more information please contact the Conference and Events Department on 01484 484116. Alternatively you can email the team at johnsmiths.stadium@kudosknowhow.co.uk.